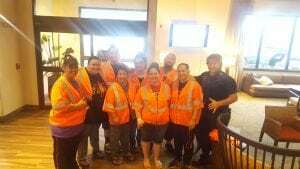 Courtyard Marriott North Shore shows support! 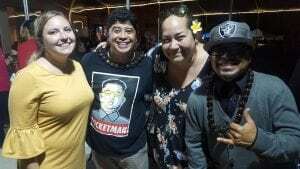 Saturday evening was all a buzz in the normally quiet North Shore town of La`ie. 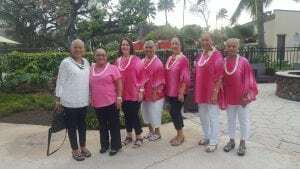 Courtyard Marriott hosted an evening of music and comedy featuring Grammy Nominee, Josh Tatofi, Jr., and Na Hoku Hanohano award winner, Augie T.
The evening was filled with music, hula, laughs and surprise guests, the Tongan Sisters and FIJI. 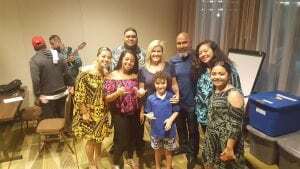 2018 Champion Kayle Osai and his family were in attendance and had the opportunity to meet and take photos with the performers prior. 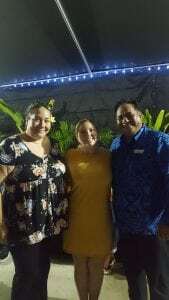 Mahalo to General Manager, David Betham and his staff for putting on such a wonderful event. 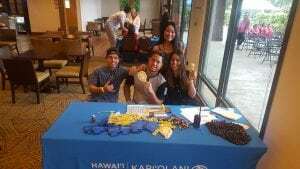 All monies raised at this event will benefit Kapiolani Children’s Miracle Network. 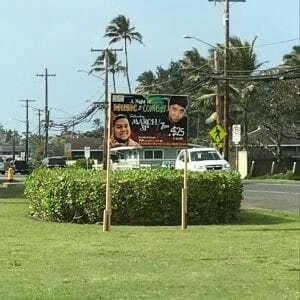 Next post: Extra Life Gamers are Raising Funds in Hawaii!